Best C2 Rowing Time Yet at CrossFit. Guess How I Did It? You know it’s going to be a good day at CrossFit when your warmup looks like a full-on conditioning WOD. 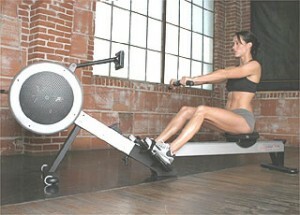 One of the warmup exercises was a 250 M row on the C2 rower. That was just to get us all warmed up and excited for the 2000 meter row that was coming up. Today ended up being my best row yet for the 2000 and I’ll tell you how I did it. 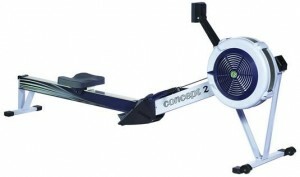 2000 meters for time on the C2 Rower (with the damper set on #8). For this row, I really tried to clear my mind and focus on the techniques that I’ve learned, many from the C2 Row videos I posted last year. For example, making sure that I was straightening my legs and leaning back before pulling the handle to my chest, using arms first for the return, etc. I pulled really strong for the first 500 meters and was making great time, but then I felt like that wasn’t sustainable for another 1500 meters. At that point, I really felt like I had blown it by not pacing myself and was going to have a bad row. So, I accepted that (some days you can just feel when it’s right or wrong) and fell into a more steady, rhythmic pace that I knew would get me through the rest of the row. I cleared my mind, I even closed my eyes, and I stopped muscling the pull. I just fell into a good rhythm and tried to optimize my form. That’s the magic. I opened my eyes and saw that I was actually pulling for a solid time, despite the feeling that I was going “slower”. If you start paying too much attention to any one aspect of the row (e.g., like pulling harder), you lose the overall zen-like harmony and it throws off the rhythm and the pace. Relaxing and getting into the flow to create a more effortless rhythm really paid off. Then, for the last 500 meters I was able to up the intensity and pace to finish really strong. Despite my feeling in the middle that this was going to be my worst pull, it actually ended up being my best 2000 M row yet! So, if you get a chance to play with the C2 rower, practice getting yourself into this relaxed, rhythmic state where the pull and return blend together seamlessly. Close your eyes and just feel it. Good luck with your next row!